The Midlands Machinery Show last week was another success! The weather although cold stayed dry which is great. We visited the show and received lovely feedback from our clients there, with one client Agri Linc even winning the Best Machinery Stand and Best Overall Stand Awards at the show! 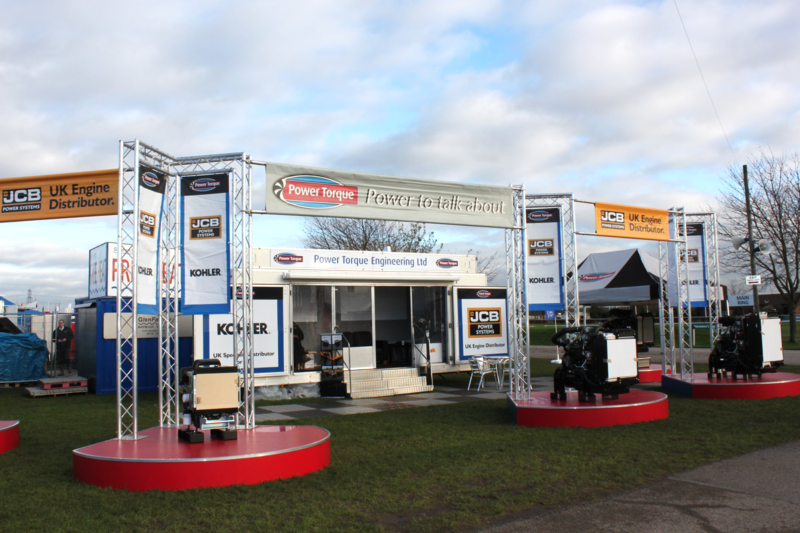 The image below is of the Powertorque stand. If you would like any information on exhibition trailer hire please call Emily on 01543 255452. This entry was posted on Tuesday, December 1st, 2015 at 1:17 pm	and is filed under Uncategorized. You can follow any responses to this entry through the RSS 2.0 feed.You can leave a response, or trackback from your own site.